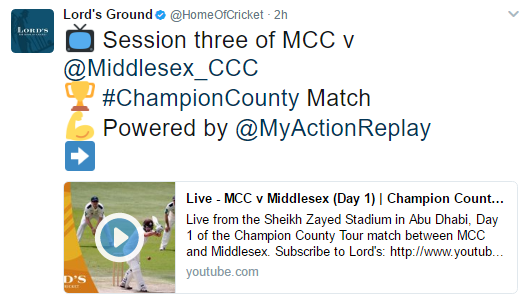 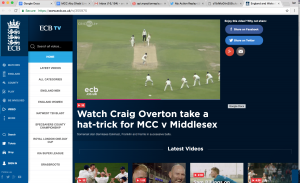 After the huge success of My Action Replay at Somerset County Cricket club last season - where replays generated by our technology were watched quite literally millions of times – My Action Replay has taken another huge step forward. 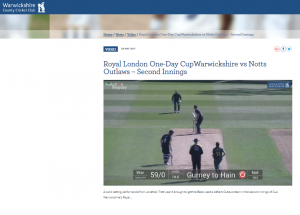 Not only do we provide the digital clips and highlights feature through our onsite hub and unique online studio for 8 counties – Somerset, Warwickshire, Northants, Notts, Glamorgan, Leicestershire, Gloucestershire and Surrey – we now are fully integrated with the CricHQ electronic scoring products. 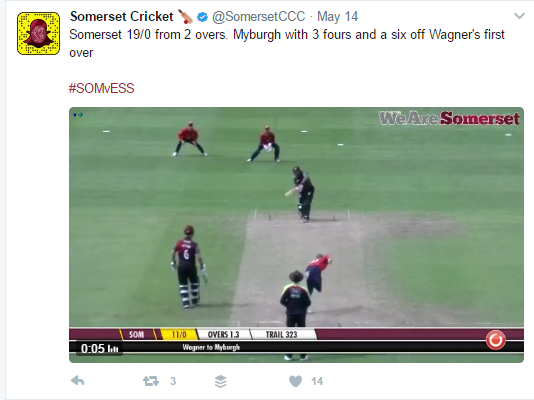 Through integrating with these electronic scoring systems we are able to automatically understand every single piece of information that is pertinent to that ball – the scoring shot, the names of players involved, the delivery in the over. 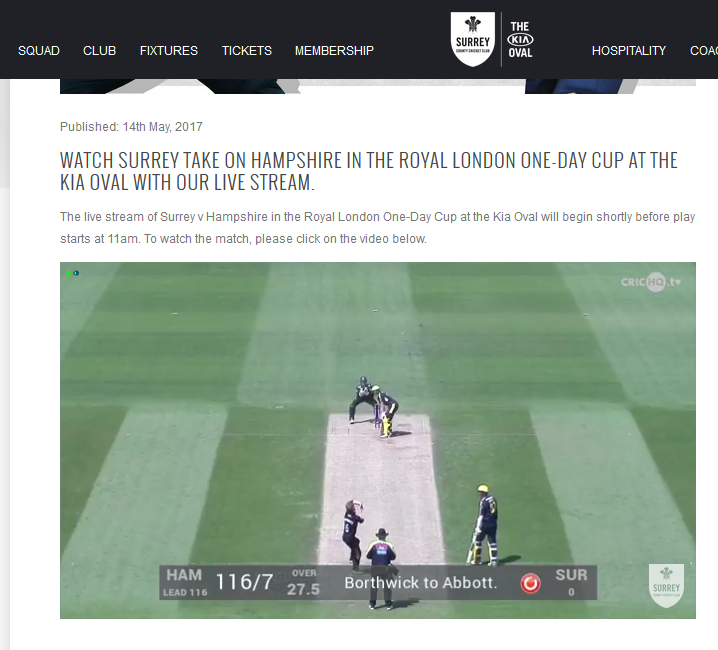 This enables us to generate replays with hugely rich information about them and also provide an automatic on screen score overlay for live streams. 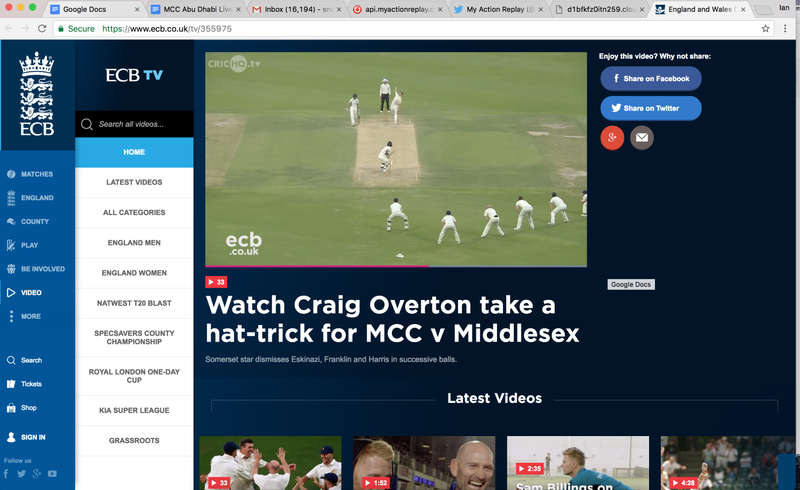 If we don’t say so ourselves the output is really rather stunning – all completed and automatically updated with no production effort or manual interaction. 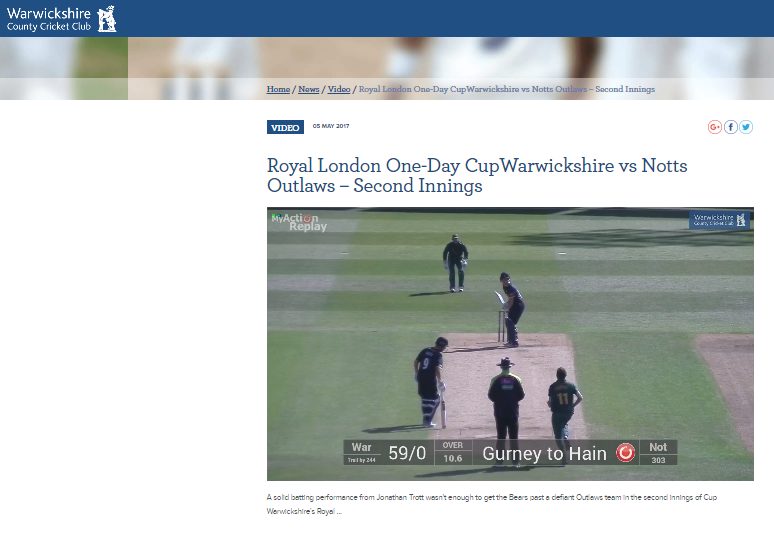 Warwickshire have been live streaming on their website and using the online My Action Replay studio to publish their highlights and clips.